The Kenya Climate Innovation Center (KCIC) — an initiative of the World Bank and its global entrepreneurship program infoDev — has officially launched the first-ever support program for crowdfunding in East Africa. In its pilot phase, the program has helped six clean-tech ventures design, develop, and launch their online crowdfunding campaigns. 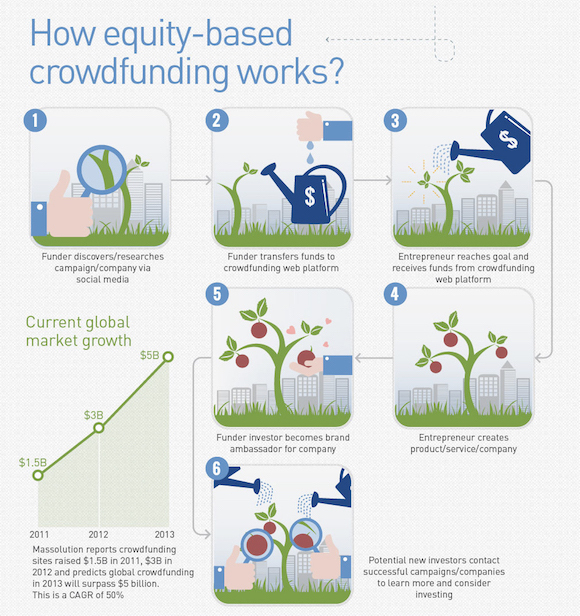 Crowdfunding is the practice of funding a project or venture by raising monetary contributions from a large number of people through an online platform. In developing countries, the market is in its infancy, but the potential is significant. The World Bank/infoDev study—Crowdfunding’s Potential for the Developing World— estimates that the market could reach up to US$90-96 billion per year by 2025. The results also show that from an income perspective the number of households in developing economies that could participate in crowdfunding ranges from 240 million to 344 million. Read more at: Kenya Climate Innovation Center launches first crowdfunding program in East Africa | infoDev.